Soul II Soul, one of the UK’s most successful and iconic R’n’B groups is to be honoured by a PRS for Music Heritage Award. PRS for Music set up the Heritage Award in 2009 to recognise the unusual ‘performance birthplaces’ of famous bands and artists. Soul II Soul and the cutting-edge south London scene have contributed significantly to shaping the British music landscape and hold huge nostalgic significance to countless fans. Previous awardees include Blur, Elton John, Snow Patrol and UB40. Jazzie B and members of the group including vocalist Caron Wheeler, Aitch and Q will be there to see the plaque unveiled on the wall of the Electric in Brixton at 11.30am on Thursday 21st June, after which they will play an exclusive set to a select audience of media, local government, key music industry figures and friends of the band. Soul II Soul has sold over 6.8 million albums worldwide. Jazzie has accreditation on over 35 million albums in over 100 territories and has appeared at some of the most famous venues in the world including Wembley and New York’s Universal Ample Theatre. In 1990 they picked up two Grammy Awards and Jazzie B was given the keys to seven cities in the US, including LA and New York. In May 2008 Jazzie, “the man who gave British black music a soul of its own” won the Ivor Novello Award for inspiration. 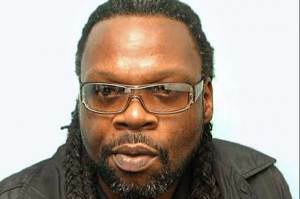 The same month Jazzie B was awarded an OBE for services to music, the first sound man to be honoured by Her Majesty the Queen.